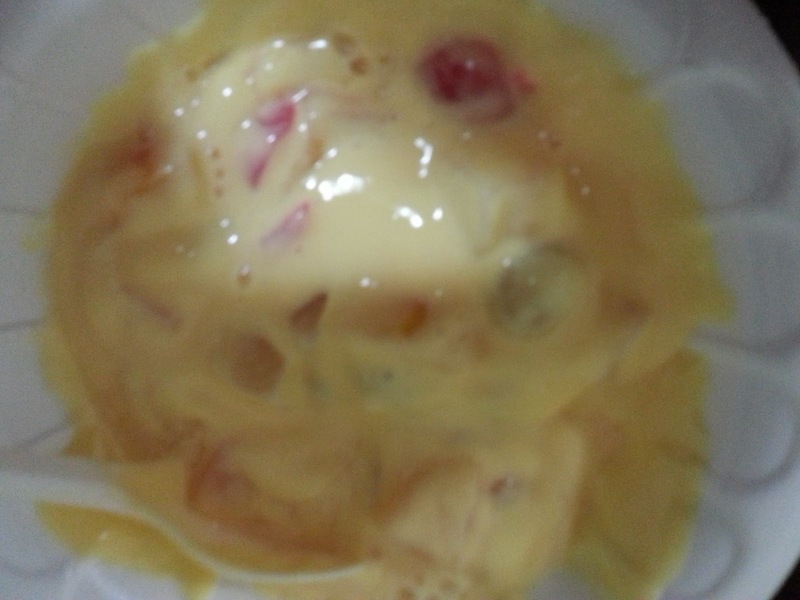 Fruit custard is one of my favorite desserts. You can prepare custard from scratch or use custard powder to prepare custard and then chill it. 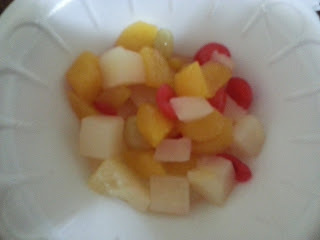 You will have to cut several fruits and then mix the custard to the fruits to enjoy some fruit custard. I would definitely do it this way when I have time and plan ahead. But when you suddenly crave for some fruit custard you can instantly make it in no time. Here is how. I have not been asked or paid to advertise for either of the brands. These are brands i used. 1. Add the fruits without the syrup in a bowl. 2. 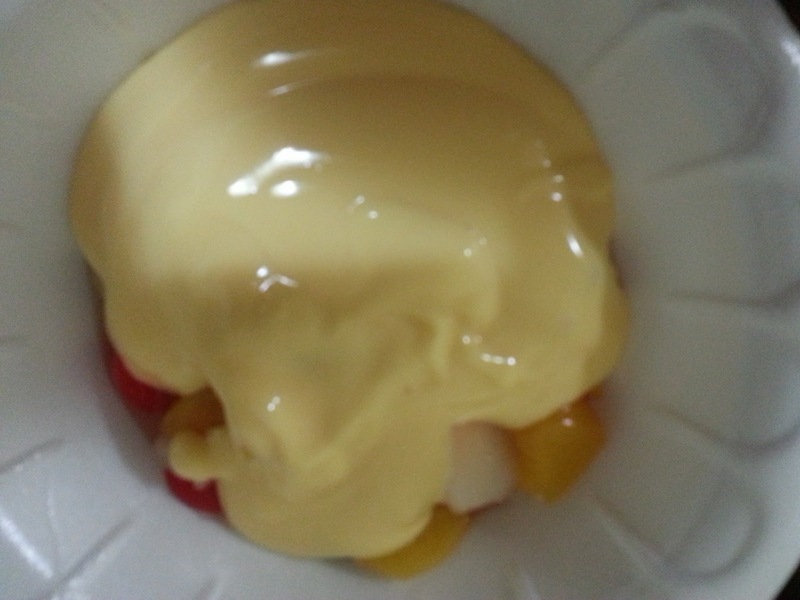 Add the vanilla custard to the fruits. 3. 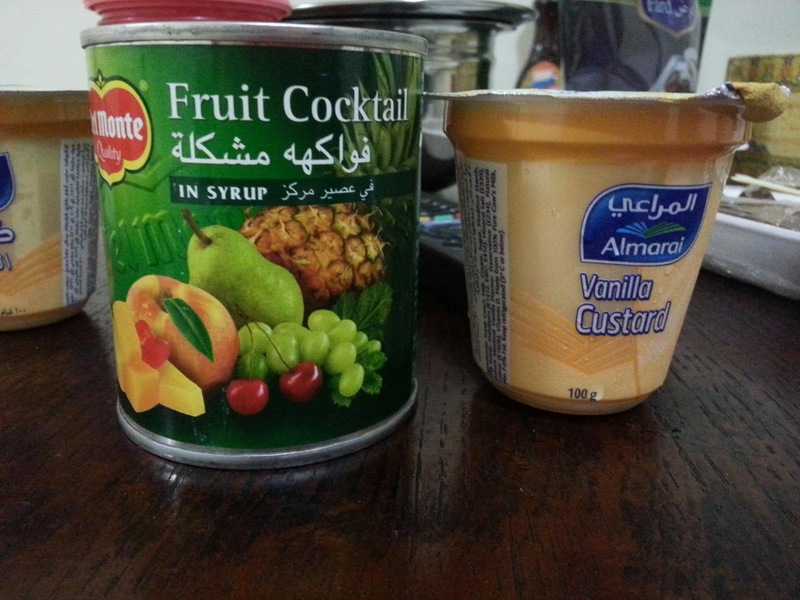 Mix well and enjoy instant fruit custard.